When we talk about Injercap we do face treatments hair grafts reverse alopecia, mostly male, but also female. 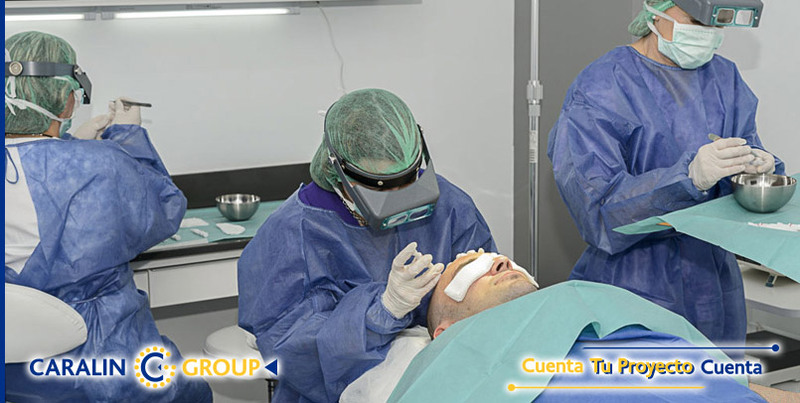 Injercap is a young company, implementation by two entrepreneurs, Miguel Angel Agudiez and David Valverde, dedicated to hair advice, by organizing a trip to Istanbul to perform the operation as scheduled at a city hospital, plus everything concerning the postoperative period. "This has been the year of the creation of our company, and so far this year we have already taken more than a hundred people to have surgery to Turkey; specific, to a treatment of hair grafts performed by FUE, in the country which is, in this medical specialty, world leader by far. And success has been the 100% as far as customer satisfaction is concerned ', They discussed both partners. "Because, because we have shown that it can take less than a year to find out if your idea is really a good business concept, solid, margined, extensible to third parties, and also improved, but it needs to grow and, without resorting to hand the little disinterested financial institutions, this growth can reach people with entrepreneurial concerns as franchise ', argumentan Miguel Ángel Agudiez y David Valverde. Why they have decided to bet on FUE? It has been shown to be the specialty of grafts that offers more aesthetically satisfactory results, compared to other techniques such as SLUF (strip technique), because the scars are avoided. The patient can be very short hair and did not notice that has undergone an operation. In this technique hair follicles are removed from the back of the head and the rear of the ears. these follicles, once implanted, They never fall, even if they are transplanted into the front of the head. "The results can be seen in 3 from 4 weeks, although we must bear in mind that, after that time, the transplanted hair falls out and grows gradually thinner hair that is gaining in thickness. In eight months, the results are very satisfactory, but not exceeding a year can not assess the outcome ', indicate these two entrepreneurs. 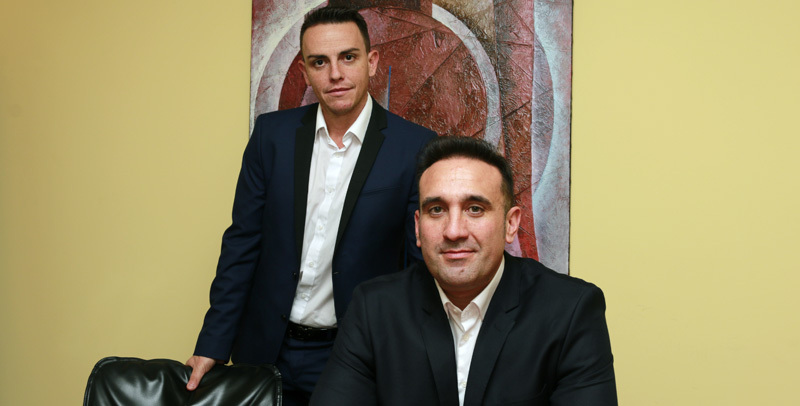 From left to right, Miguel Angel Agudiez and David Valverde. In Injercap you have been the first to develop a system that informs the interested, resolves all doubts and concerns, organizes the trip and stay as if which in fact in many cases it is-a weekend getaway, in luxury, In Estambul; and then try to continue contact with the patient and "monitor" that meets the postoperative recovery plan established for the result to be 100% satisfactory. "We are transparent in Injercap, and we do not hide anyone not carry even a full year on the market, but if you want you can ask any of the nearly 100 People who have been held by our team of surgeons in Turkey for the quality of service, you will find only praise and positive responses. So we think we attend the same right to grant franchises to those chains -whether restoration, the fashion, as in our case, of health tourism, of health- lead us half a century operating in the market; each with its good and its improvable things, but with the undoubted will to meet a real demand among the population, and those who need help and do not know that there is a service ', concluyen Miguel Ángel Agudiez y David Valverde. Injercap looking for people with an entrepreneurial spirit, and ambition to develop a self-employed business, to join your network. Does not require experience in the sector, since all service efforts are made by the plant itself. The format "turnkey", the initial investment 12.000 euros includes the entry fee, furniture and marking the establishment, computer equipment, hiring and payment of the first year of RGPD (former LOPD), PRL and RC insurance policy, and initial formation (including accommodation and meals). And the franchise agreement has a duration of 5 years, renewable. You can learn more about Injercap in the e-mail address info@injercap.com or phone 966294603.